It appears that finally, after years and years of development, The Happytime Murders may actually be happening. The script was actually written on spec by Todd Berger way back in 2008, when it was picked up by The Jim Henson Co. with Jim Henson’s son Brian Henson signing on to direct. It went through a number of different permutations at different studios, with actresses like Cameron Diaz and Kathryn Heigl in the mix for the lead role, but this R-rated film noir comedy co-starring puppets proved to be a hard sell. Now, however, the film has a new home in STX Entertainment and a huge star in Melissa McCarthy, who will lead the movie. The comedy is set in the Los Angeles underbelly where puppets and humans coexist. Two clashing detectives, one human and one puppet, are forced to work together when the former cast of a classic puppet show called The Happytime Gang starts getting murdered one by one. 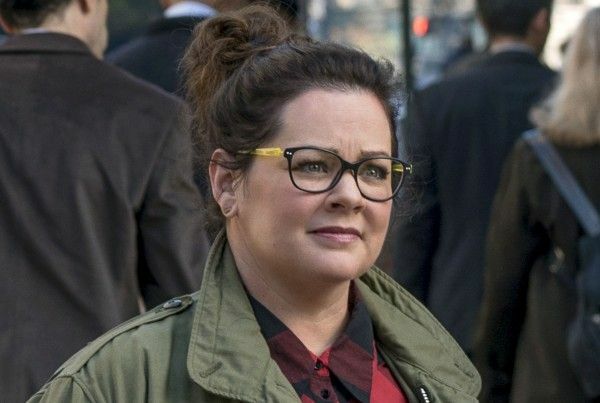 McCarthy will also produce the film alongside her husband Ben Falcone, and she now has a screenplay credit alongside Berger and Eric and John Hoeber. In a statement, McCarthy had this to say about joining the cast: “When a really good script combines puppet strippers, Los Angeles’ underbelly and comedy, it’s like my fever dream has finally come true.” The actress most recently wrapped her third film directed by Falcone, Life of the Party, as well as the next movie from Diary of a Teenage Girl filmmaker Marielle Heller, Can You Ever Forgive Me? She’s also working her way towards a Guest Actor Emmy win with her iconic turns as Sean Spicer on SNL. Production on The Happytime Murders is finally slated to begin this August, with The Jim Henson Company, On the Day Productions, and STX Films producing. This is a project that’s languished in development hell for nearly a decade, but this news is further proof that no project in Hollywood is ever completely dead.